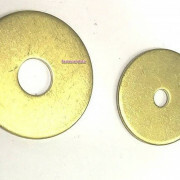 Fender Washers Mudguard or Penny washers as they are called in the UK have a larger outside diameter compared to traditional flat washers. The name Fender washer is derived from their use in the American automotive industry where they are used to mount fenders, British bumpers and penny washers where the outside diameter is UK old penny size or bigger. Fender/Penny washers distribute a load evenly across a larger surface area. 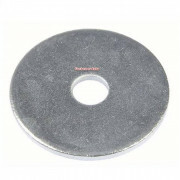 Flat washers whose outer diameters measure more than three times the inner diameter are commonly referred to as fender washers.